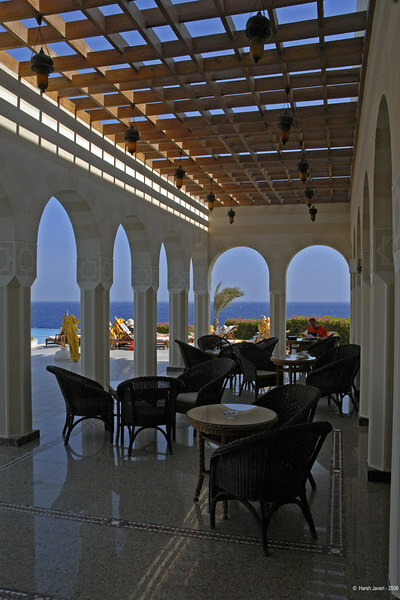 Oberoi Sahl Hasheesh, a luxury resort on the Red Sea coast in Hurghadha, Egypt. Oh, so peaceful and a great photo! nice view.. you sure take us to some nice places.. thanks.. Very nice, wish I was there! Very nice light and shadows! Great shot! This is a lovely shot -- beautiful blue water and sky, and love those arches. Very nicely composed too!